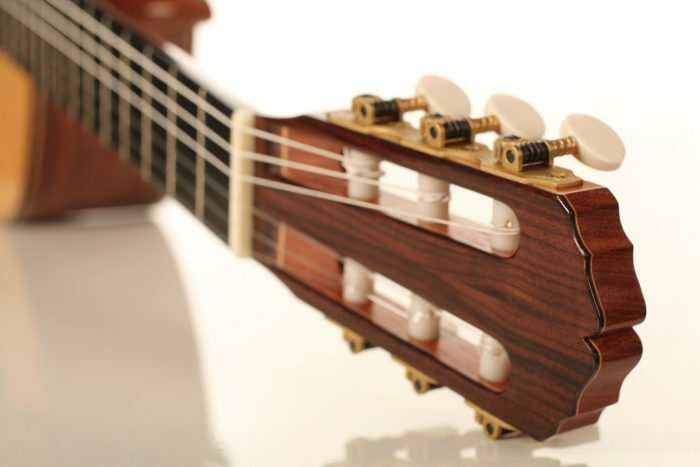 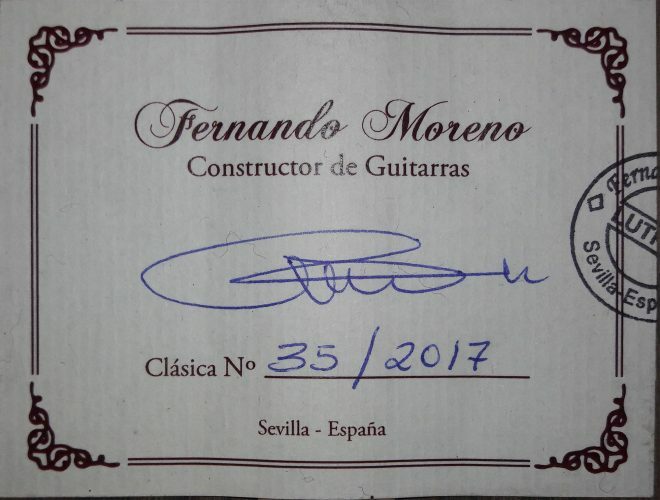 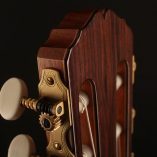 Fernando Moreno is a talented Sevilla (Spain) based guitar maker. 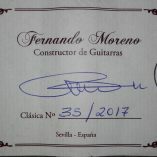 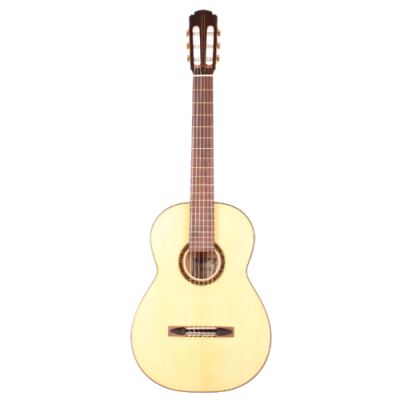 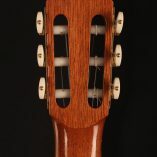 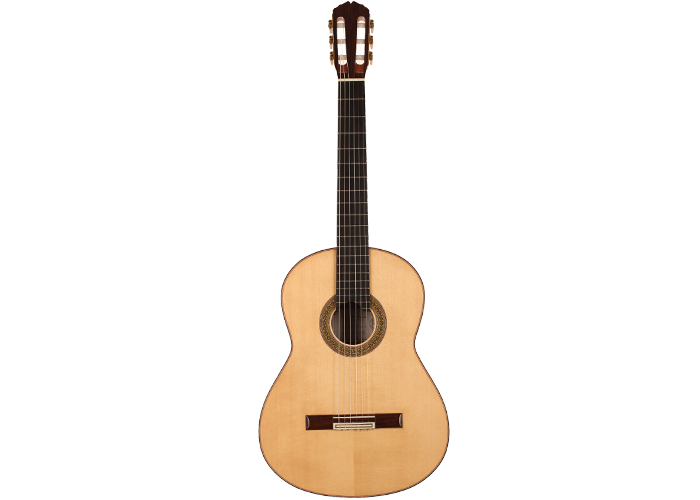 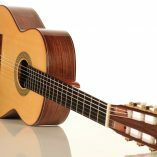 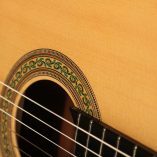 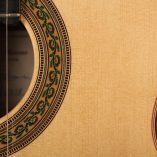 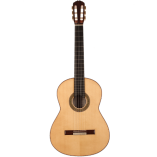 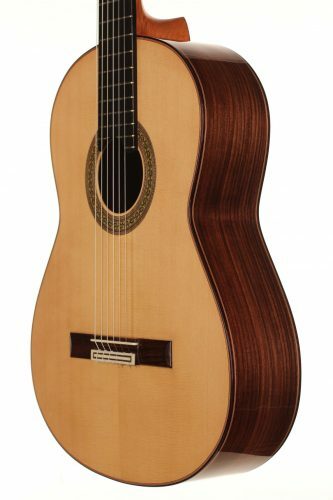 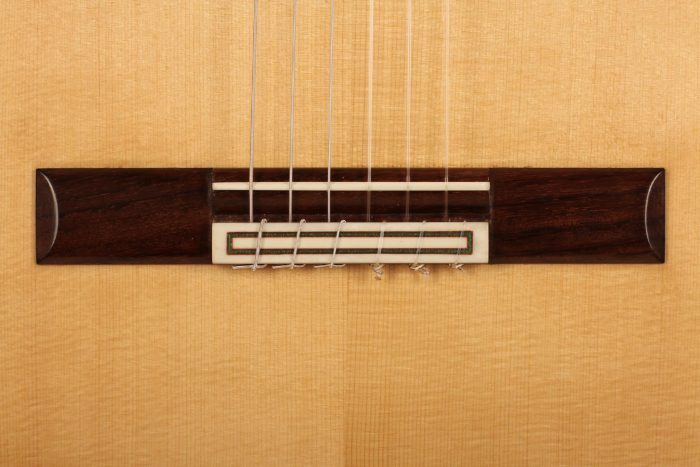 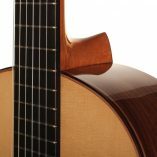 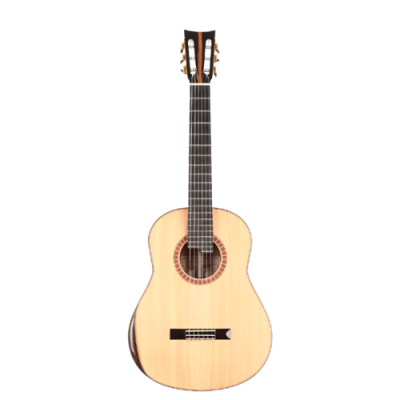 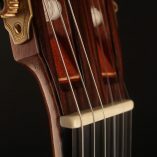 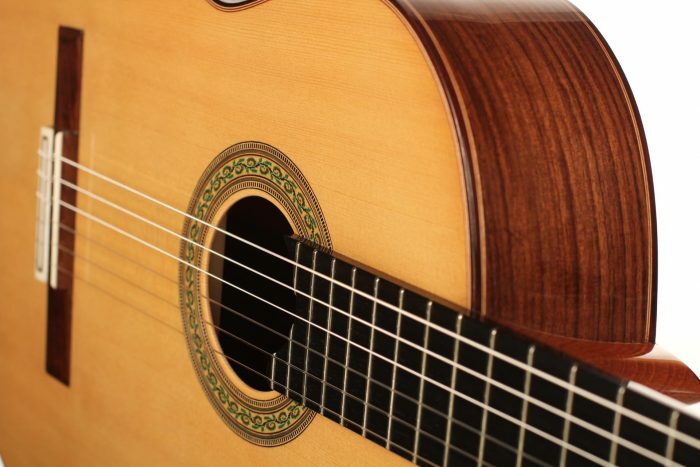 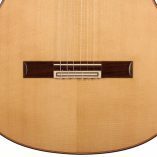 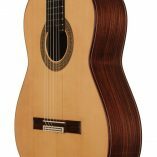 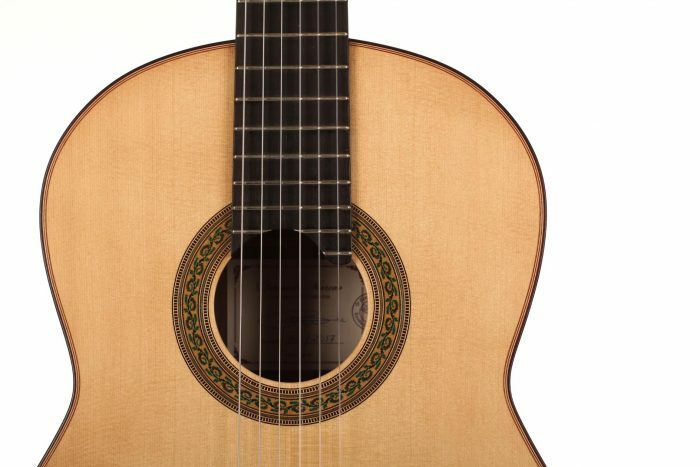 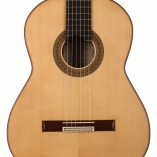 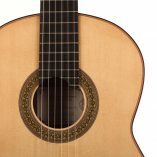 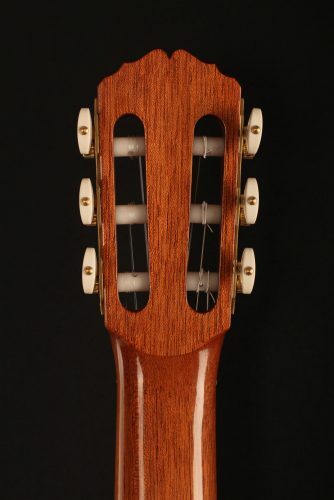 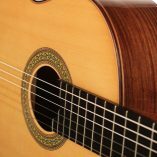 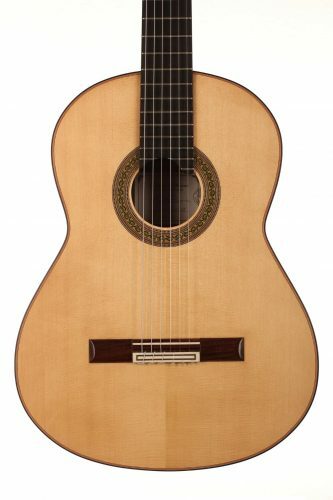 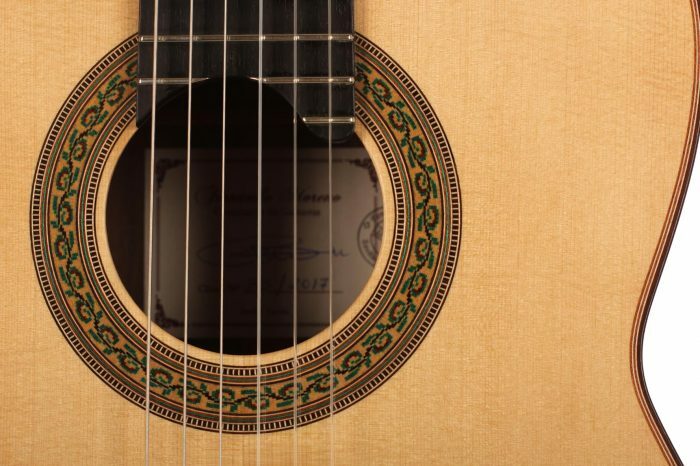 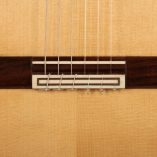 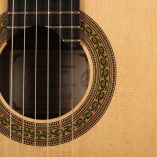 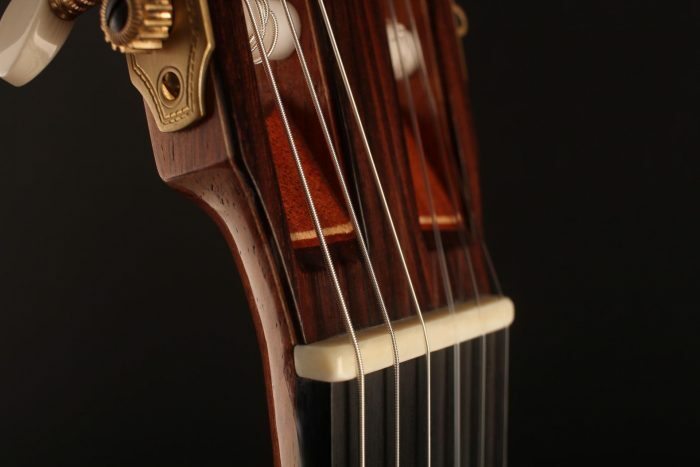 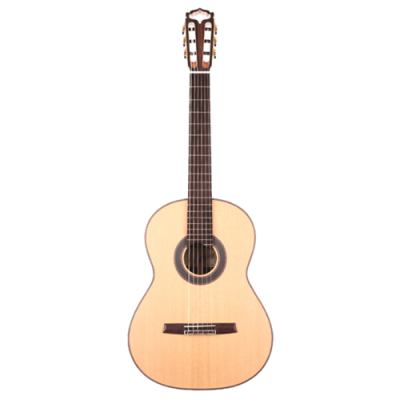 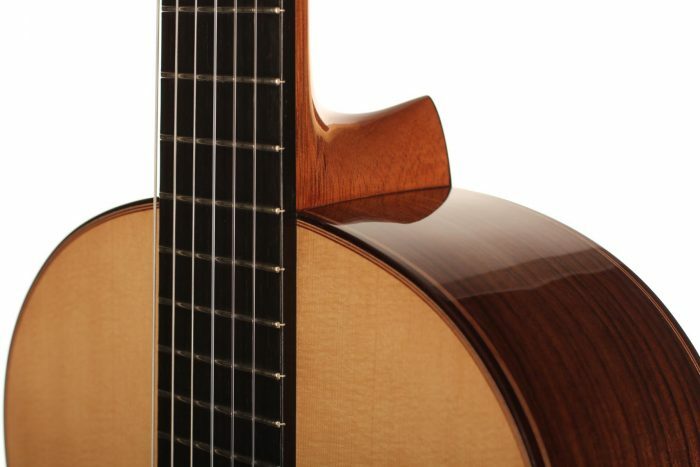 He acquired a solid reputation as a fine flamenco and classical guitar maker throughout the last years. 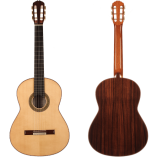 Fernando Moreno builds very light instruments, responsive with a lot of character and a very defined sound. 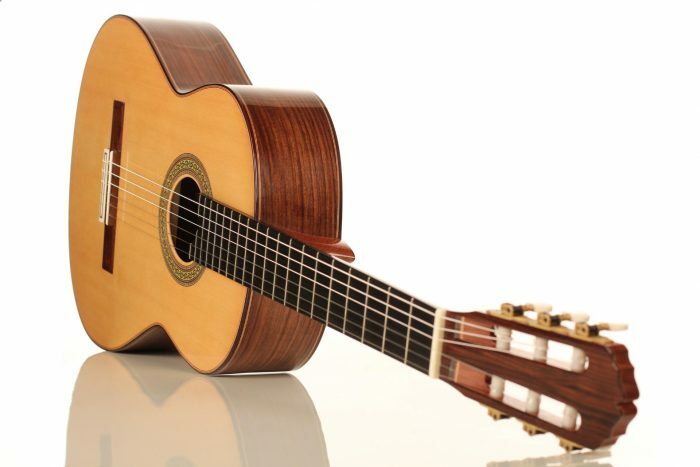 His guitars are very well proportioned. 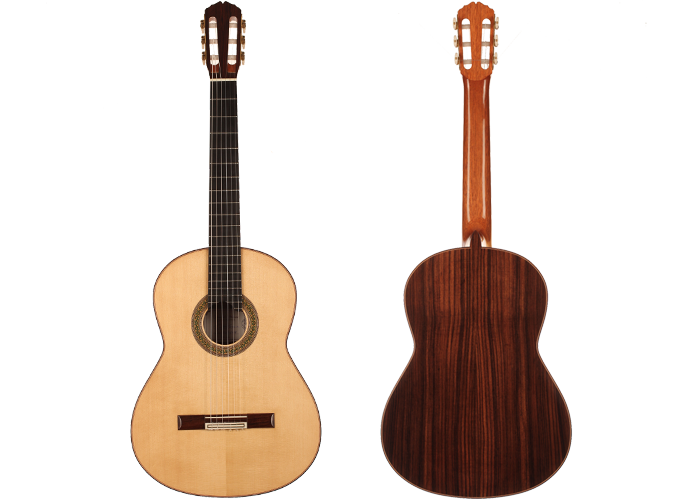 They distinguish themselves by their very elegant plantilla, the short Santos-Hernandez style head design and their fine floral rosette. 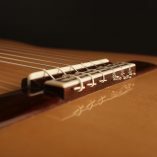 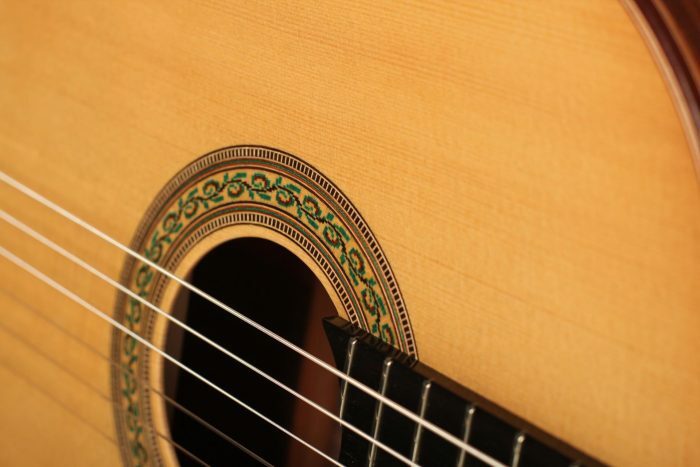 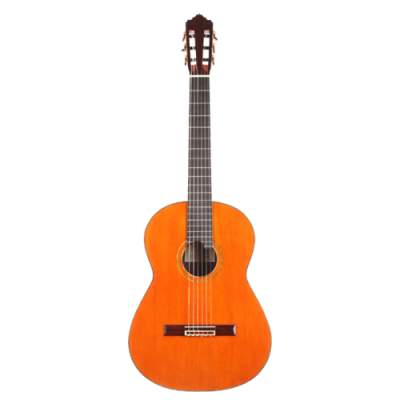 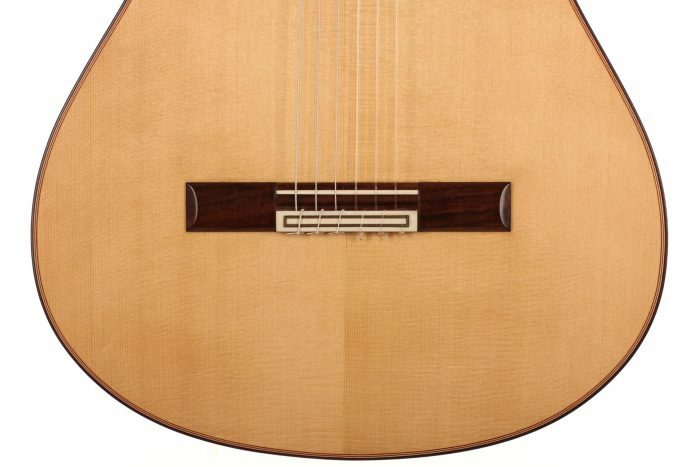 This guitar has a beautiful spruce top, with a sweet warm colour. 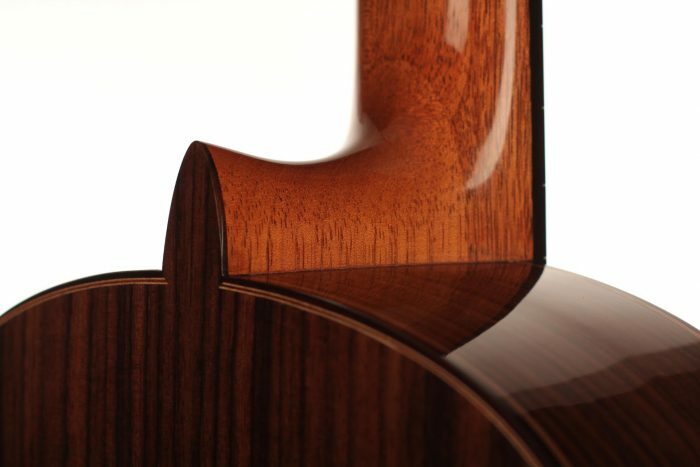 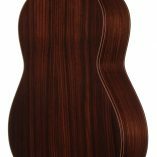 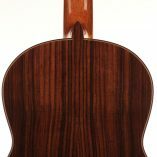 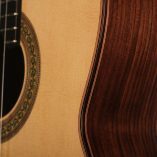 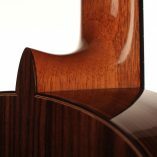 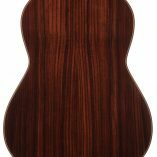 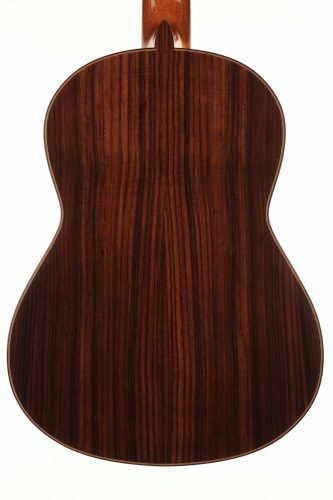 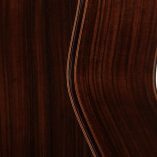 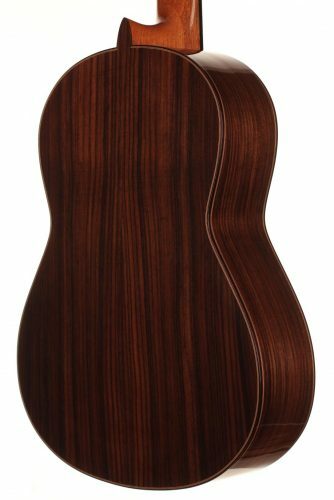 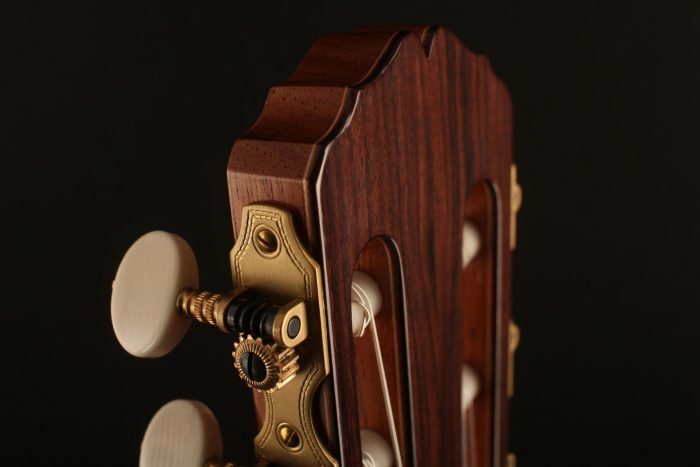 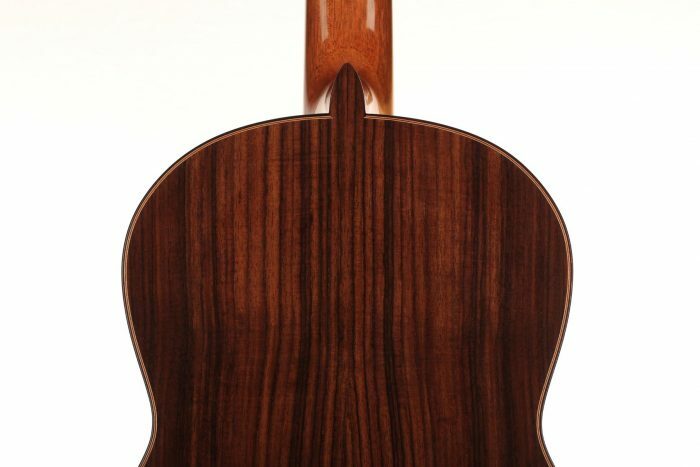 The Indian rosewood back and sides are of the best quality and the transversal grain of the wood appears on the surface, giving it a deep and appealing texture. 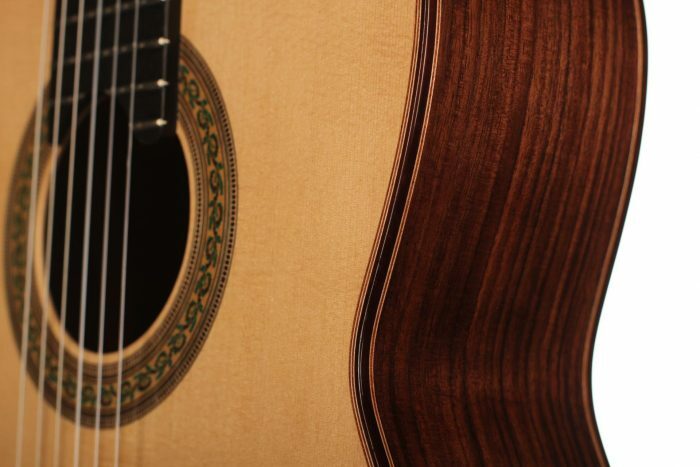 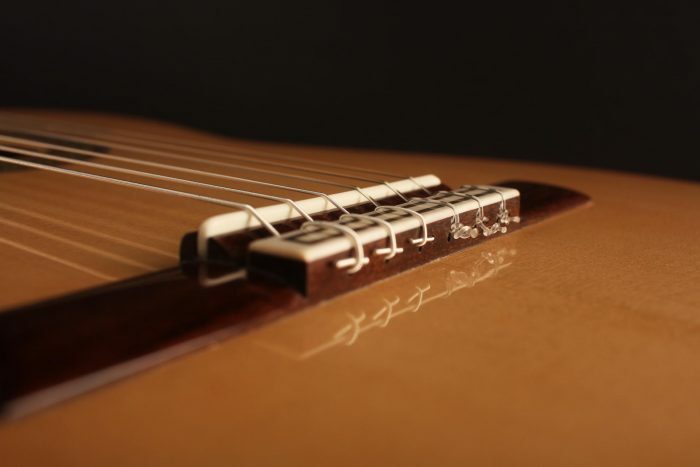 Sound wise, the guitar is a model of clarity, purity and sensibility. 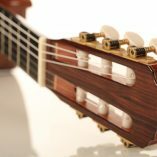 It has a lot of personality in the timbre and we recommend any Spanish sound lover to try this subtle instrument. 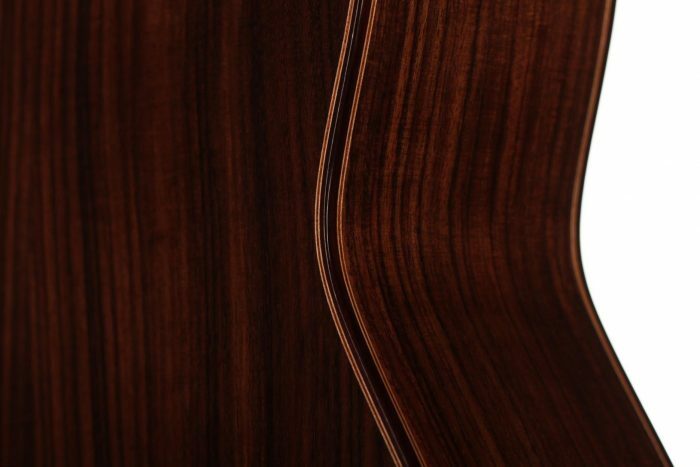 All French polished. 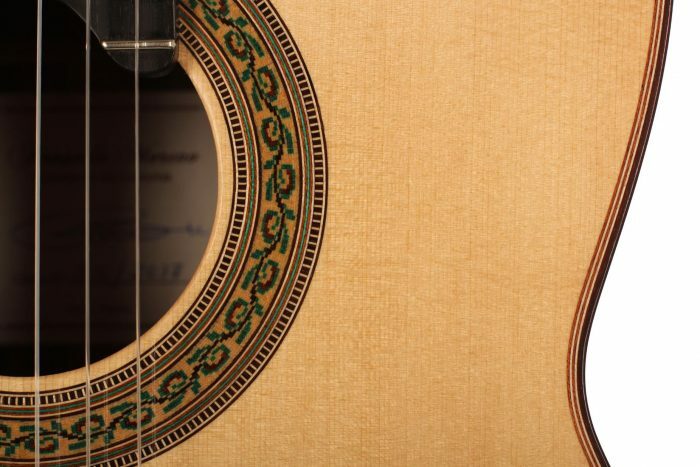 A hard-shell case is included.